Drones have been around for a long time. The first true remote-controlled aircraft were developed a century ago. Today, drones have evolved from reconnaissance patrols to recreational past times. 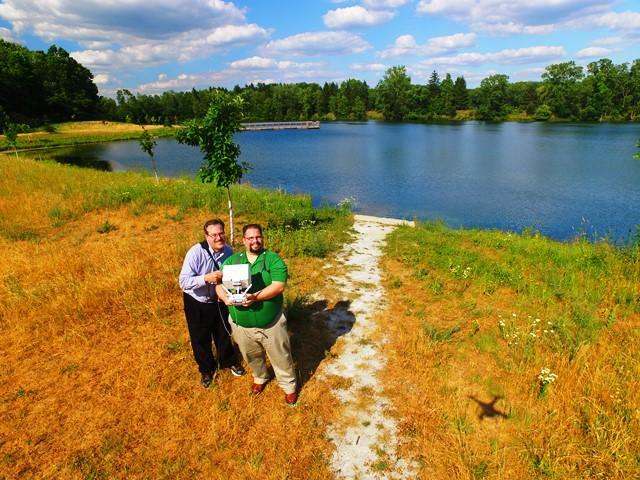 Capitol Drones CEO Ryan Latourette and WKAR's Kevin Lavery pose for a "dronie" at Crego Park in Lansing. The FAA has recently published new standards for hobbyists and commercial drone operators. The rules don’t take effect until August, but they’ll supersede countless local ordinances established across the country – including cities like East Lansing and DeWitt. Current State’s Kevin Lavery joins Capitol Drones owner Ryan Latourette at Lansing’s Crego Park to talk about the buzz over the new regulations.